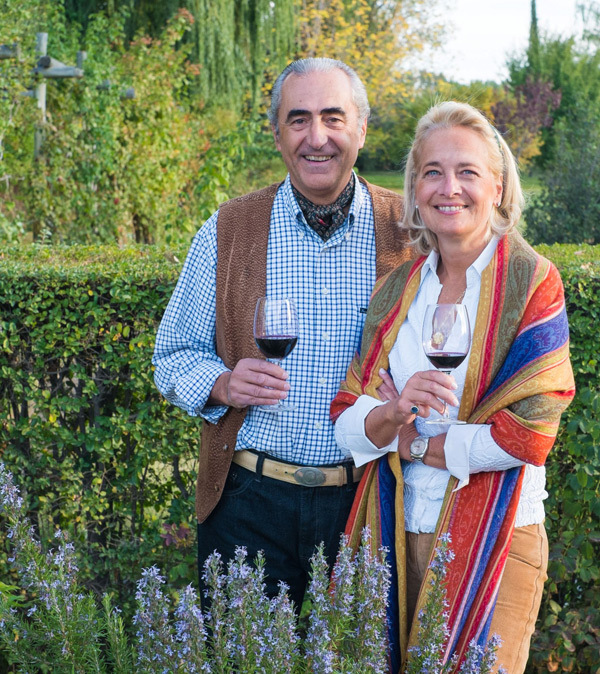 Viñalba is a family-owned company, set-up and run by husband and wife Hervé and Diane Joyaux Fabre. Hervé J. Fabre, born in Bordeaux, arrived in Argentina in the early 1990s when Malbec was viewed as little more than a blending partner. Seeing the incredible potential of the Argentine terroir, Hervé bought a number of Argentina’s oldest Malbec vineyards (planted in 1908) and in 1992 he built his first winery, Fabre Montmayou, in Luján de Cuyo, near Mendoza. His Bordeaux background dictates an elegance and subtlety to his winemaking, and since 1992 he has dedicated all his savoir-faire and passion to his wines, being the first winemaker to elaborate a single varietal Malbec in Argentina. After identifying a number of different vineyard sites in the Valle de Uco which offered perfect conditions for Malbec and other varieties, Hervé launched Viñalba in 2007 producing wines which are the most faithful expression of these terroirs. Hervé is constantly exploring new styles of Malbec-based wines, meticulously crafting the wines from the vineyard to the winery to ensure that every step of the process is carried out to his instruction. His wife Diane takes control once the wine is ready to be shipped to customers. She looks after everything from corks to customers and beyond. It is this partnership which brings Viñalba to life!